In a surprising development, an NFL investigator has apparently suggested Ezekiel Elliott should not be suspended. 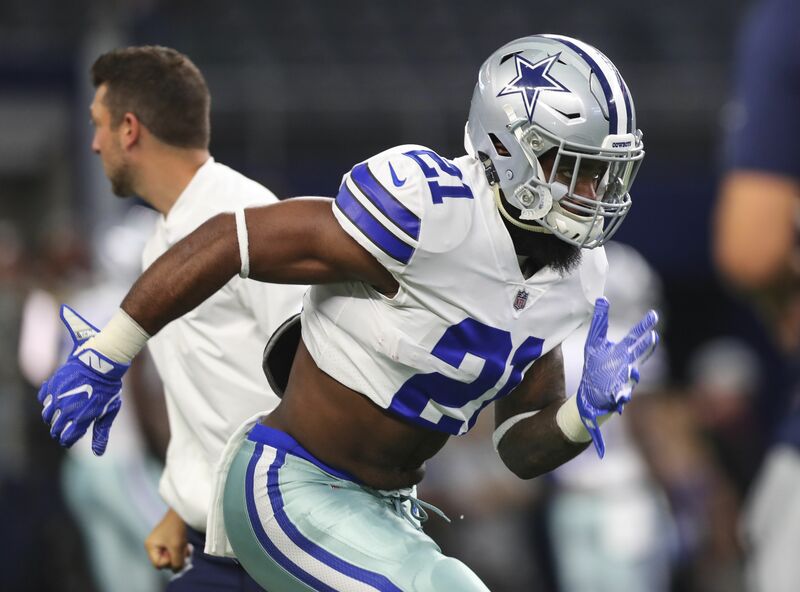 The three-day, 25-hour slog of Ezekiel Elliott’s appeal hearing ended on Thursday, with a decision from arbiter Harold Henderson expected early next week. There’s a possibility the original six-game suspension related to a domestic violence incident gets reduced, but according to Clarence Hill of the Forth Worth Star-Telegram, an NFL investigator recommended no suspension at all for Elliott. Kia Roberts, the lead investigator for the league, interviewed Elliott’s ex-girlfriend as part of her duties. But her recommendation, which she reportedly testified to making this week, did not make it into the NFL’s final report or the official suspension letter for Elliott’s six-game ban. Roberts also was not allowed into a meeting with commissioner Roger Goodell, apparently at the behest of senior vice president for investigations Lisa Friel. Conveniently leaving critical components out of an investigation is clearly the NFL’s brand of justice, alongside being reactionary in a lot of instances. But to leave Roberts, the league’s director of investigations, effectively out of a discipline decision is pretty aggressive and comes off as no less than short-sighted. Quite frankly, it’s not a complete investigation into Elliott’s situation without Roberts’ input, even if it’s a dissenting or minority opinion in the league office. In the “Deflategate” situation, the NFL found a conclusion and conducted an investigation to work backward and confirm it. This situation is not at all similar, since domestic violence is far more serious than deflated footballs on every level, but the league has willingly left out a key person’s input that goes against a conclusion about Elliott. Then again, maybe Roberts is not seen as a key person despite her title. Elliott may get a reduction in his suspension. But this is another bit of egg on the face of the NFL’s investigative arm.